Bright Splash Park | This is a FREE water playground is located right on the edge of the Ovens River and is a wonderful place to take the family – the children will have a ball. Cafe’s and the Bright Brewery are close by so you can enjoy a cold drink, milkshake or have a bite to eat. Bright Rotary Waterslide | The slide is open in the afternoons during the Summer holidays and weekends until March. Trout and Salmon Farm | Harrietville | Go fishing the easy way at the picturesque Harrietville Trout Farm. The kids will love feeding the fish and catching one of their own which gets cleaned all ready for you to take home and cook. Entry is FREE. Wandiligong Maze | Lose yourself in the magical Wandiligong Maze which is Australia’s largest living hedge maze. This maze is lots of fun for kids and adults alike. Deer Farm | The Red Stag | Eurobin | With FREE entry, take the kids along to feed the deer along with other farm animals for a fun trip out. The farm also has a great restaurant with amazing views of Mt Buffalo and the surrounding valley. Movies | Bright has it’s own boutique cinema ‘Cloud 9’ offering all the latest movies and luxurious movie experience. Paragliding | Take off from Mystic launch in tandem or solo paragliding to experience the magic of flying and magnificent views of the area. Fishing | The rivers are famous for their trout and you can fish these from September to June, just make sure you’ve got a Victorian Fishing Recreation Licence (you can get one in town if you don’t). You can also try your hand at fly fishing – tours are available with local experts. Horseriding | Experience a different view with horse back adventure rides offered in the Buckland Valley and in Tawonga Gap. Golf | The Bright Golf Club offers a unique 18 holes surrounded by magnificent scenery. Clubs and carts are available for hire. Dirt Bikes | Explore the region by dirt bike by self guided adventure or by tours available. Abseiling | Abseiling and rock climbing is available at Mt Buffalo. Beauty | Get pampered at Cheeky Bits Beauty Boutique and Glow Bright Spa & Beauty. Beechworth | A beautiful historic gold rush town with a well renowned bakery, honey, brewery and filled with fabulous shops to wander around. Milawa | Visit the region famous for cheese, bread and wine. You won’t want to miss stopping off and taste testing the local produce here. 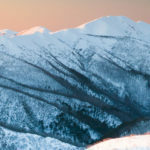 Mt Beauty | A beautiful small town located at the base of Mt Bogong. There are many beautiful walks and rides to do around town. A visit to the ice cream shop is a must too! Harrietville | Walking, riding, fishing, gold panning, berry and lavender farms, Harrietville has something for everyone. Wandiligong | Walk around and explore the historic Chinese gold digging sites. Get lost at the local maze, stock up on local produce at the apple and nut farms and stop for a meal at the award winning Wandi Pub.